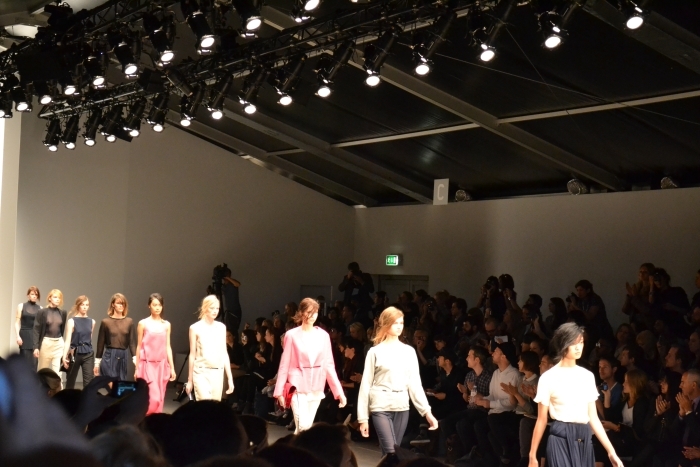 The last show we attended on day 1st of LFW was Sofie-Ann Atelje / BACK. in plain colours: black, white, blue, and pink. 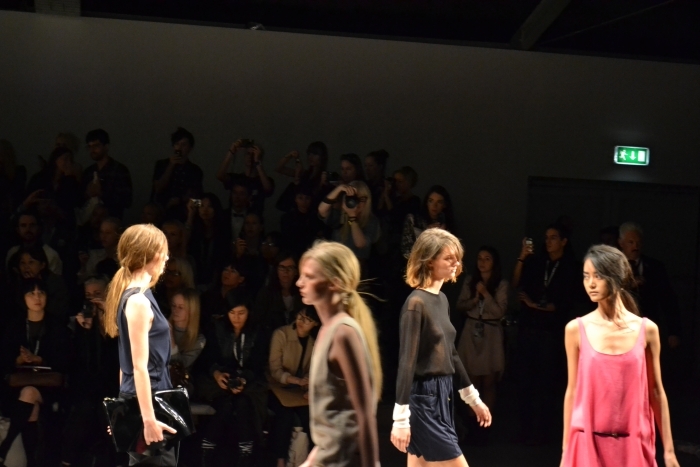 We loved the lightness of the fabrics and the simplicity of the lines of these pieces which were nevertheless never predictable. 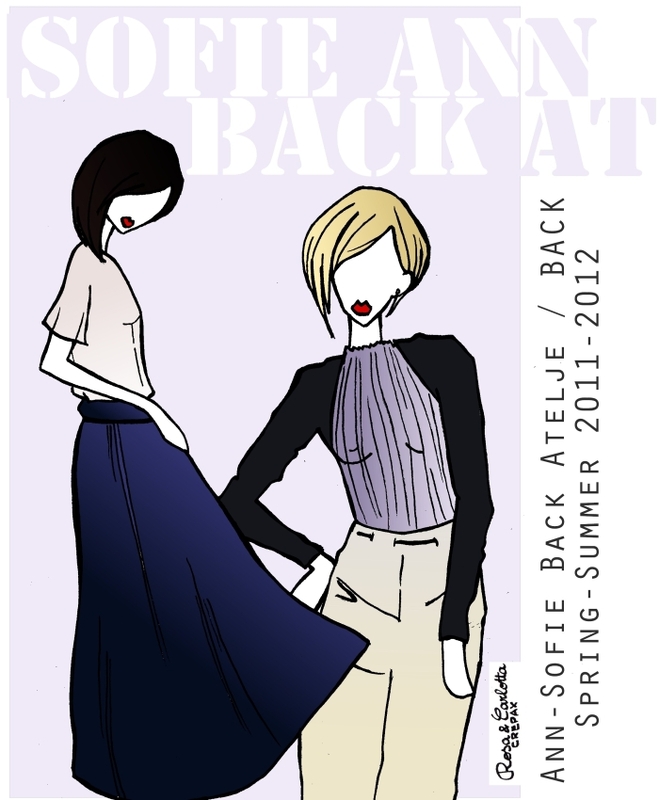 è stato quello di Sofie-Ann Atelje / BACK. anche nella scelta della tinta unita, nei colori: nero, bianco, blu e rosa. che tuttavia non avevano niente di scontato. I love girly shirts with man's jacket! LOVING THE ILLUSTRATION! So great! We loved the messy ponytails too!